A Leeds-based designer of luxury headwear has partnered with Brain Tumour Research and Support (BTRS) charity to back its annual Flat Cap Friday events, taking place throughout March. Kempadoo Millar has supported Flat Cap Fridays since its inception in 2016 and will provide BTRS with five flat-caps to use as prizes at the charity’s flat cap events. Flat Clap Fridays occur annually on every Friday throughout March, as part of Brain Tumour Awareness Month. BTRS ask organisations to wear flat-caps and raise funds for the charity on any Friday in March. Supporters are encouraged to share their flat cap selfies on Twitter and donate to BTRS’s Flat Cap Friday Just Giving page. BTRS is a charity dedicated to providing support and services to individuals affected by brain tumours in Yorkshire. The charity raises funds for research and patient support. Founded in 2013, by Rhian Kempadoo-Millar, Kempadoo Millar creates a range of vibrant flat-caps from locally sourced Yorkshire fabrics; all 100 per cent manufactured within the region. Rhian Kempadoo Millar said: “I am committed to supporting the local community and BTRS is a brilliant charity, doing fantastic things for people in Yorkshire. 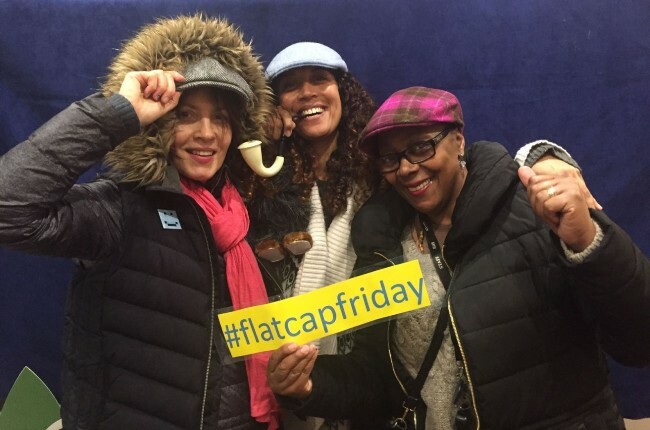 Flat Cap Friday is the perfect opportunity for us to get involved. We have loved supporting the young people and their creativity to see their designs come to life as a wearable flat cap. Nicki Hood, Community Fundraiser from BTRS, said: “Kempadoo Millar have been fantastic supporters since we first dreamed Flat Cap Friday up, and we love the idea that their flat caps will wing their way to locations across the county to raise awareness and funds for BTRS.